The Ritz-Carlton Club is rapidly growing its private residence club collection with 11 destinations including locations in California, Florida, Colorado, Hawaii, the Virgin Islands and now The Bahamas. 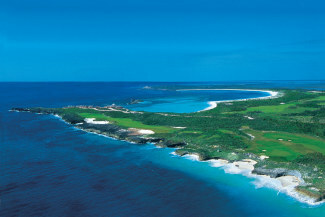 The newest offering in Abaco, The Bahamas will be available for first phase occupancy in December 2008. Approximately 170 miles east of Florida, Great Abaco Island is the second largest island in the Bahamas. It is a premier water sports and golfing destination that also offers exciting cultural and entertainment choices. The Abaco Club on Winding Bay is a secluded development on the island with over two miles of beaches, a full-service spa and a host of other activities. The club plans on offering 16 homes at The Abaco Club on Winding Bay. All of the Ritz-Carlton Abaco properties are tastefully and comfortably decorated in a Caribbean color palette, have large verandas with outdoor furniture and grills, panoramic views of the peninsula, bamboo floors and vaulted ceilings. The initial membership fee starts at $110,000 and includes privileged access to the Scottish-style links golf course. The club's fractional ownership is a points-based system which offers three tiers of membership. The Ritz-Carlton Club's points-based approach offers increased flexibility for members to choose both the length of stay, whether it be for a weekend or more, and the type of property. The program works by assigning each residence a nightly point value, which also varies by season. For instance, with a Premium Membership, a member could use their yearly points for a combination of getaways. They could elect to stay 14 nights (1,190 points) in a cliff-side cottage to escape the blistery cold north during the winter months, seven nights (280 points) in a similar cottage during the summer, and four nights (30 points) in a cabana in the fall for a romantic getaway. We're expecting to see more points based private residence clubs develop, so that they can offer this same level of flexibility. 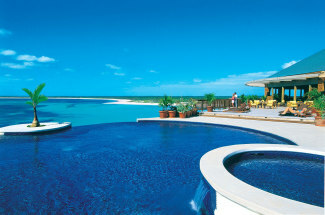 Members of The Ritz-Carlton Club Abaco also have full reciprocal privileges at other Ritz-Carlton Club locations. Members are granted a deeded interest as part of a Bahamian real estate trust. Members may bequeath it to heirs, just like they would any other form of real estate. Of all the luxury hotel brands, The Ritz-Carlton, has moved the fastest to build out its portfolio of private residence clubs. Members at any one of the club locations can exchange their time for stays at other Ritz-Carlton Clubs or at Ritz-Carlton hotels. Now with 11 clubs spread across prime locations in the US and Caribbean, the club offers an interesting alternative to joining a destination club. If the points based model is expanded to other locations and the points becomes interchangeable between locations, then Ritz-Carlton will essentially have created its own destination club. The Abaco Club is a very popular site for destination clubs. Ultimate Escapes, Exclusive Resorts and Lusso all have multiple homes at the Abaco Club and Oyster Circle also has a home there. Destination club Solstice bases its yacht out of Nassau in the Bahamas and there are luxury fractional homes available at February Point Resort on Great Exuma. One point to note, several folks over on destinationclubforums.com have recently been discussing the high level of supplementary charges and the daily resort fee at the Abaco Club. While these sorts of fees won't be a deciding factor on a purchase or a vacation, they can certainly add up and are worth being aware of. Lauren Keyson and her family traveled to Abaco in July - the off-season for the resort - and wrote about her vacation here.